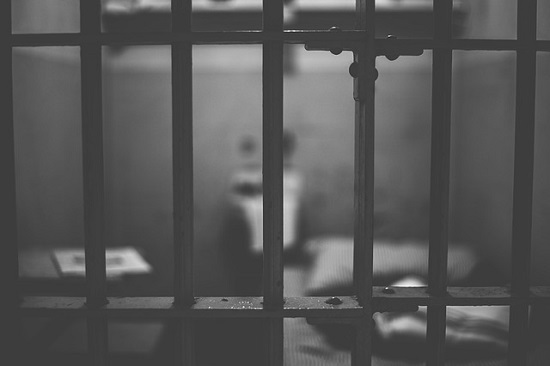 What are the repercussions of a criminal conviction? If you don’t know, consider yourself lucky. According to Michigan State Police statistics, 117,123 Michigan residents were charged with misdemeanor marijuana crimes over the past five years. Of those, 49,928 were convicted. What that means is those nearly 50,000 people have found it difficult to secure housing or employment in certain industries. By law, they can also be denied credit from banks and face rejection from college admissions. And even if they do get into college, they may not be eligible for federal financial aid. This is why expunging past marijuana convictions in Michigan in crucial. An expungement is the primary way to deal with a conviction whereby a previous criminal charge is made non-public by a judge. It is, in mob terms, made to “go away.” But in a legal way. It’s done by filing what’s known as a Motion to Set Aside a Conviction in court. A lawyer, for instance, would file this motion in court to get before a judge. The eligibility rules for an expungement depend, of course, on how many prior convictions a person has had. And some felony marijuana convictions – such as those for high-level distribution charges – are offenses that will still remain illegal even after Prop 1 is certified some time in December. But in the meantime, it’s looking like Michigan lawmakers may just take up pending legislation that would make it easier to expunge past marijuana convictions during the upcoming lame-duck session. And if the outgoing incumbents don’t step up to fight it, Whitmer and the new Legislature will likely take up the issue early next year. And an arduous one, at that. Expungement can be a burdensome process. And automatic expungement for previously convicted offenders will certainly be logistically complicated. It’s going to require coordinating potentially hundreds of thousands of records between state agencies and local court systems. In other words, it’ll be messy. And that’s sugar coating it. But nobody said working for the government was easy. Logistical obstacles aside, the new Legislature is clear on the inherent unfairness of incarcerating or penalizing offenders for actions that are no longer illegal. They know it is their job to act. This past summer, State Rep. Sheldon Neeley, D-Flint, introduced two bills that would make it easier for those with past marijuana offenses to expunge their criminal records. The bills are similar to laws that have been adopted by other states where marijuana is already legal. The bills have been referred to the House Law and Justice committee. This is progress. Especially considering that back in the dark ages (i.e. earlier this decade), a suite of bipartisan criminal justice reforms grabbed legislative attention. At least for a few minutes. This initiative aimed at reducing the prison population and it would have have diverted non-violent offenders to probation or counseling, released elderly inmates, and created systems to help offenders with post-prison skills. The initiative was civilized and humane. It was dubbed “smart justice” and it garnered business and community support. Of course, it didn’t take long for fearful lawmakers to gut the whole thing – terrified of being seen as soft on crime. And prosecutors around the state have already said they’ll drop pending marijuana-related cases for offenses that wouldn’t be illegal post-Prop 1. Whitmer has also said she will use the governor’s power of clemency to free currently incarcerated marijuana offenders. This is judicious use of her power to pardon, given the margin by which Proposal 1 was approved was 56 percent for, and 44 percent against. So why should Michiganders convicted of marijuana possession before the passage of Proposal 1 continue to face the barriers of offenses that no longer carry criminal penalties? No good reason that we can see. It’s time to breathe new life into those old reforms. Expunging past marijuana convictions is the first step toward improving prison systems and creating a more civilized society. And from our PR and marketing vantage point, it’s a pretty important step.